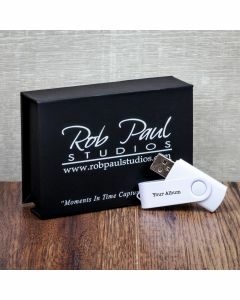 Our USB bundles make it easier for professional photographers to do their job. 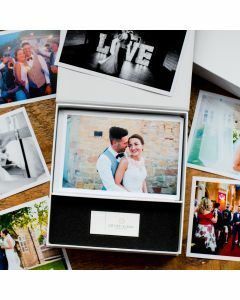 You take the photos and we will work the rest of the magic. 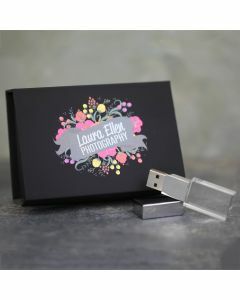 USB sticks go hand in hand with the modern age of digital sharing, making these great gifts for friends and family. 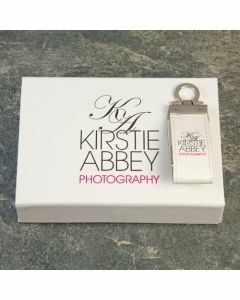 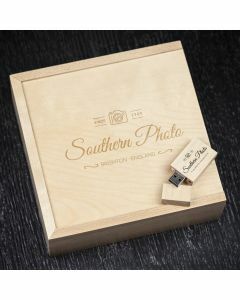 Adding a presentation box or bag to house USBs, adds something extra special, turning a gift into a keepsake. 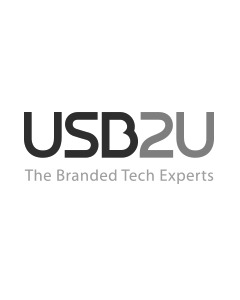 At USB2U, we have taken great care to put all of our bundles together, choosing the right USB products to complement our high quality presentation boxes and bags, and vice versa. 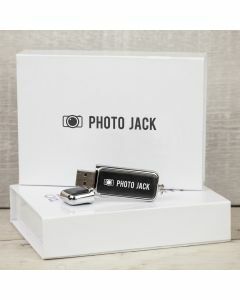 All of our USBs and boxes can be either printed or engraved and for maximum efficiency, our USB sticks mostly feature 3.0 chips, meaning that your photographs and videos can be transferred at higher speeds to and from the device. 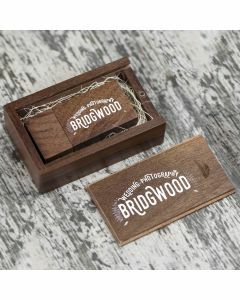 Popular due to their natural look and feel are our wooden bundles in both slide and flip box options — check out our trinket box packages. 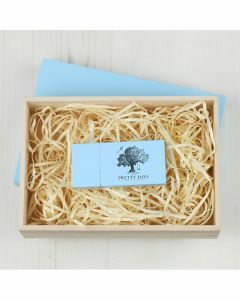 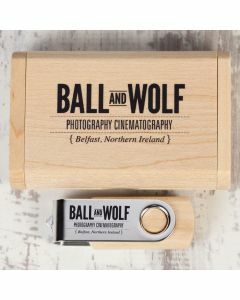 You can choose a natural light or dark wooden finish or opt for a pastel painted presentation box, naturally coming with a wooden USB stick, such as our most popular Woodland design. 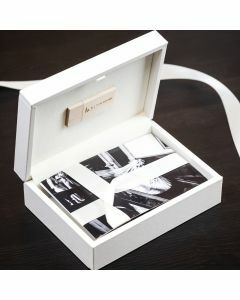 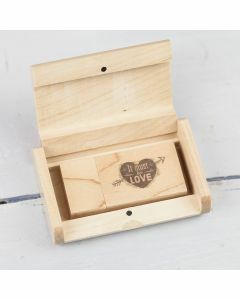 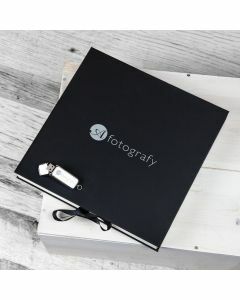 The top of the box can also have one of your photos printed onto it to set off the tone of the gift. 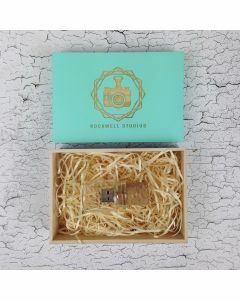 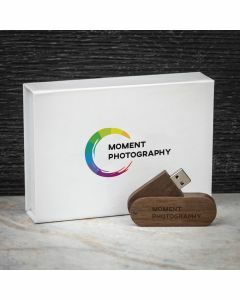 Other USB presentation box options include our luxury boxes, constucted with wood and covered in a luxurious faux leather ensuring a premium quality finish, and also our more affordable gloss coated flip boxes designed to house potentially smaller prints and a matching USB stick. 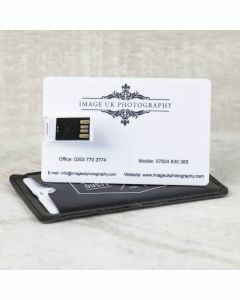 Our high security, slim line Kingston SE9 USB sticks are available in either a black velvet drawstring bag or a metal mini flip tin. 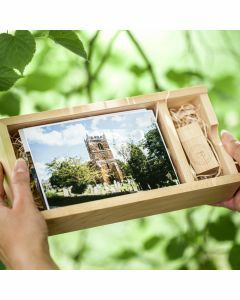 For something that we can only describe as cute and elegant, choose our cork bottle box bundles, filled with FSC certified wood wool.